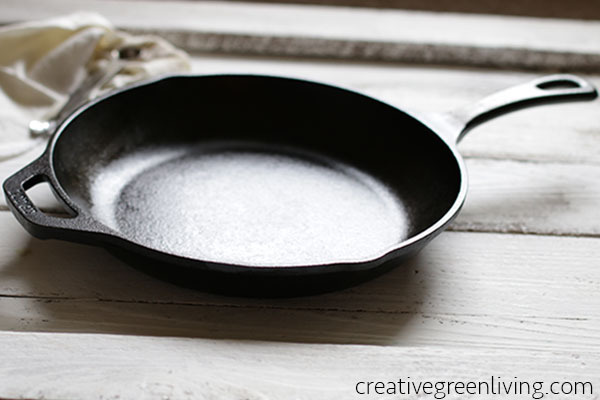 Recently, a lot of shocking and horrifying information has come out about non-stick cookware. 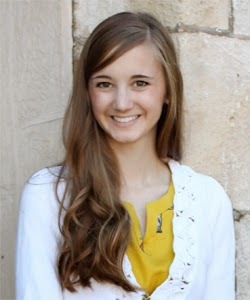 Carissa wrote a very informative article about why you should get rid of any non-stick pots and pans that you own. You should go read it now, and then throw yours out immediately. I decided to toss mine a few months ago, because I had a small metal frying pan to supplement the non-stick one, but honestly after trying to use it as a replacement for a few weeks, I realized it just wasn't cutting it. Thankfully, a few weeks after mine got thrown away, my mom sent me this beautiful Lodge cast iron skillet. 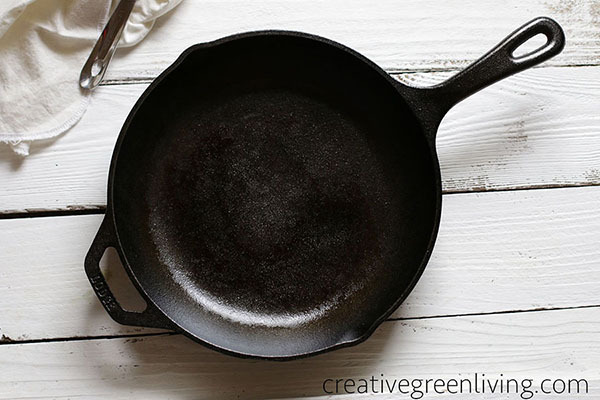 It was a perfect replacement, because cast iron develops a non-stick surface over time if properly cared for. Also, it looks WAY better in photos than my old half-broken frying pan did. I now want to cook everything in it, just so I can photograph it! 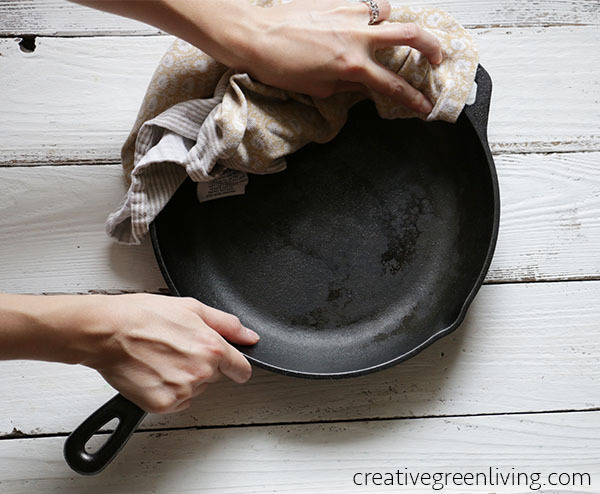 Whether you are thinking about replacing your non-stick pans and aren't sure how to care for a cast-iron skillet, or you already own one and are struggling to keep it looking beautiful, look no further! 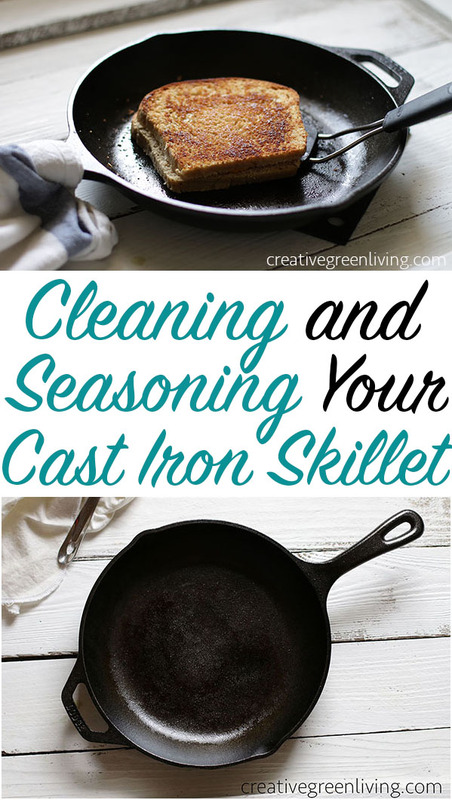 Cleaning and seasoning will keep your cast iron skillet functional and beautiful for years to come! 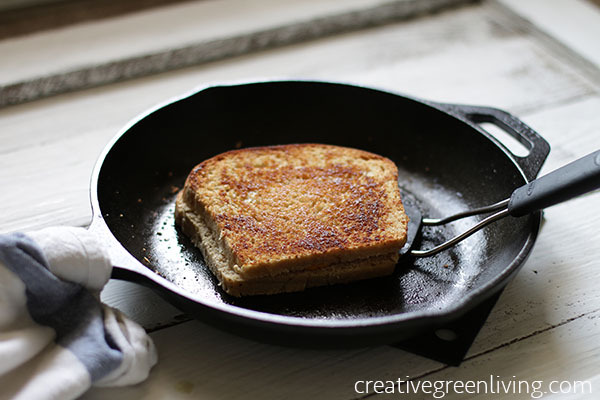 Make a tasty grilled cheese to dirty up your cast iron pan. Be sure to be extra generous with the butter! 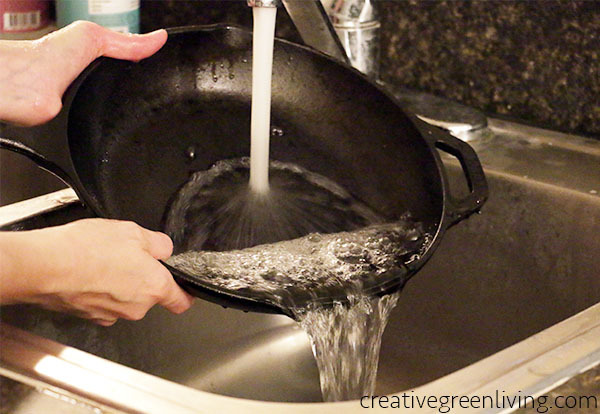 Rinse your dirty pan under a nice stream of clean water to remove left over food particles. If food is stuck, you can add a little soap to help remove some of the leftover food. If it rinses clean without soap, that is preferred. 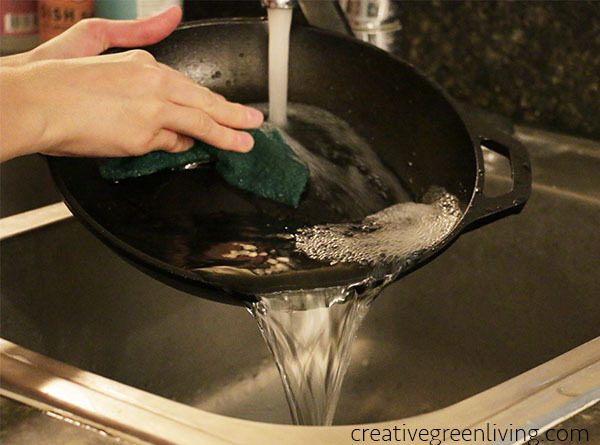 If you like, you can gently scrub the pan out with a sponge, or scouring pad. You could also try a nylon or bamboo pan scraper. 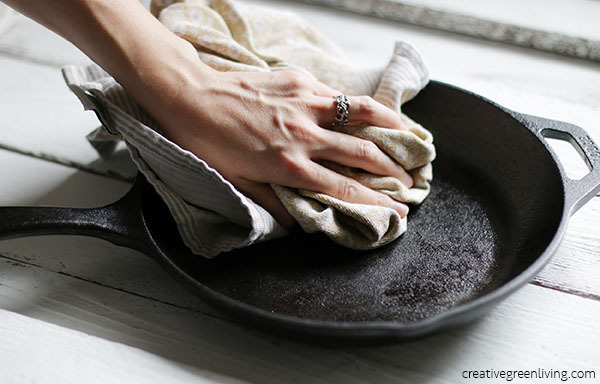 Most manufacturers don't recommend using a metal scrubber, because it can remove the seasoning, so if you choose to use one, stick to a fibrous pad or scraper designed specifically for cleaning pans. Sometimes I just use my fingers, instead of the scrubbing pad. Get a nice clean cloth out. Dry your pan inside and out. It's important to get it very dry and not just "mostly" dry. Add a teaspoon or so of oil into the center of the pan. 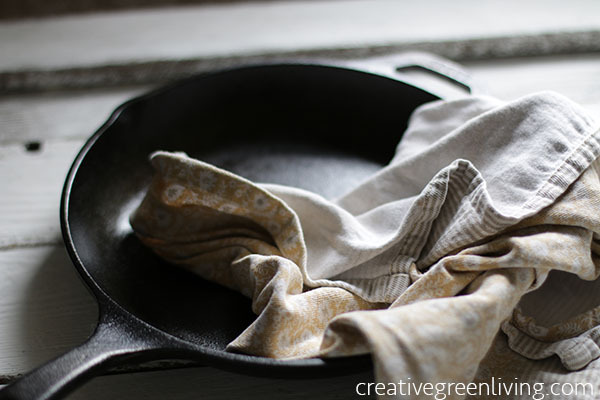 Spread the oil around with a cloth that you are okay with staining a little with oil (a paper towel also works in a pinch). 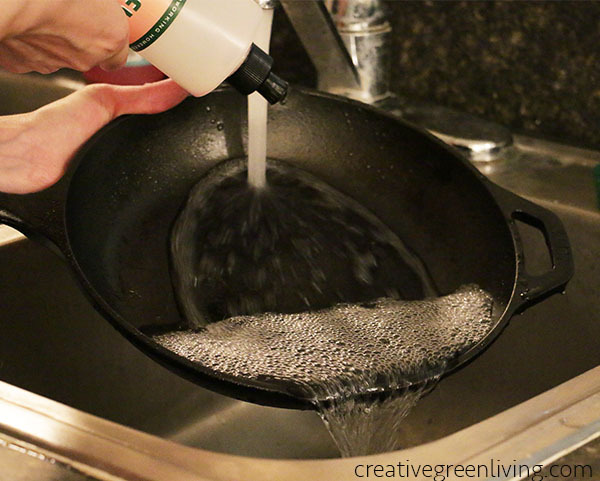 Leave the pan with a thin, even layer of oil coating the cooking surface and up the sides of the pan. You don't want it to be sticky, just to give it a little shine. This process of adding oil is called seasoning the pan. Over time, as you do this again and again after cooking, it creates an almost non-stick surface. 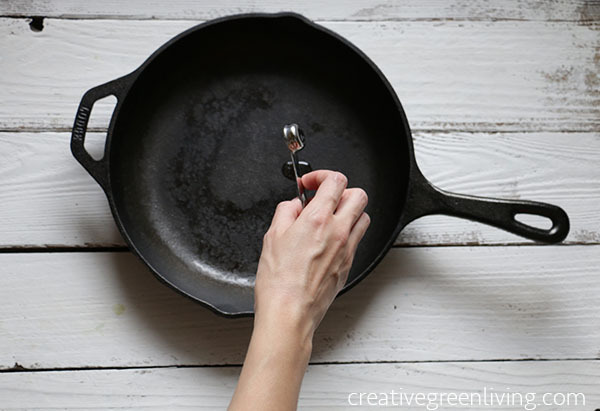 If you treat your pan well, it will last for many, many years - in fact, many people are still cooking with cast iron pots and pans owned by their grandparents and great grandparents!